SPECIFIC EXCHANGE CONDITIONS The incomings will need to sign an agreement upon arrival stating that they will not perform any invasive clinical procedures. Although the seat of Netherlands government is in The Hague, Amsterdam is the capital. It is also the country's largest city, with a population of more than 800.000 and with over 3,5 million foreign visitors a year, the most touristic city in The Netherlands. The city is a true melting pot of cultures and nationalities, being the most international city of the world. The inhabitants of Amsterdam have together 177 different nationalities! The Netherlands is a prosperous country where public health, average incomes and educational levels all have improved considerably over the last decades. The Netherlands is known as a nation of traders. An image that was derived back in the 17th century, also known as the Golden Age, from succesful long-distance trade, shipping and financial innovations. Nowadays the city is known for its tolerant character, but Amsterdam has always been a well-known name in world history and played a central role in the history of the Netherlands. In the 17th century Amsterdam was the centre of world economy. If you are interested in a detailed report of the history of Amsterdam, we refer to Wikipedia; History of Amsterdam. The Academic Medical Centre is one of the eight academically hospitals and the local hospital for people who live in the area called ‘the Bijlmer.’ The Bijlmer is known for it’s cultural diversities. The Academic Medical Center is also known for its international research. The department ‘infectious diseases’ is one of the most well known departments of the hospital. The faculty of medicine in the hospital is part of the university of Amsterdam. This university also has most of its faculty’s in the city centre. 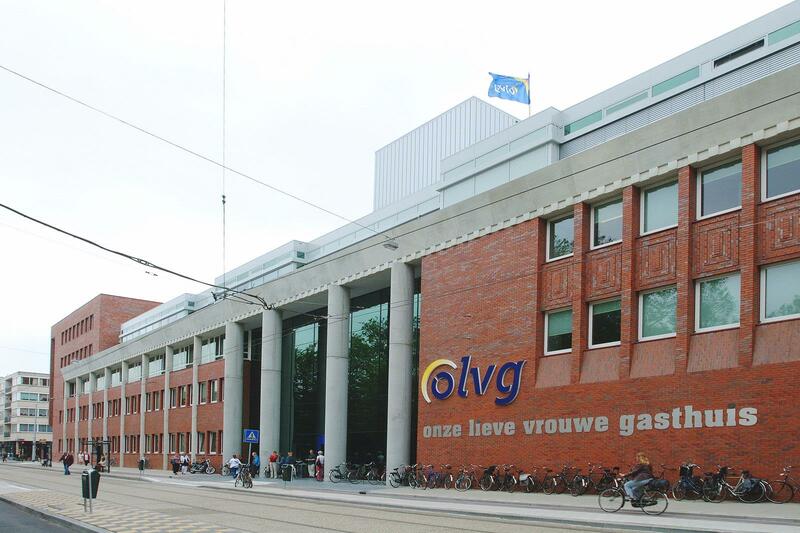 Besides this hospital we are also offering internships at the 'Onze Lieve Vrouwen Gasthuis' in Amsterdam since 2016. Being a perifery hospital in the middle of the city of Amsterdam it has the ability to offer a student a completely different learning experience. You must bring a stethoscope to the hospital. White coats are provided by the hospital. Please make sure you bring all your vaccination documents. MRSA needs to be done 2 weeks prior to the exchange. We also recommend taking a test earlier to get treatment if it would be positive, before your internship starts. At the hospital no clinical actions are allowed by interns. The internship is meant to learn from watching, asking questions, being proactive and getting to know the way of the Dutch health system. It’s also recommended to bring your curiosity and enthusiasm! In the summer (July and August) IFMSA-UvA has a contract with the Amsterdam University College so that we can place students in the same student flat every year. 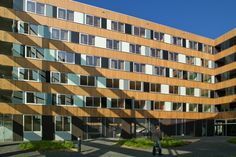 The student flat is situated on the Carolina Mac Gillavrylaan, next to the Amsterdam Science park, and in between the hospital and the city center. The rooms are approximately 16 square meters and provided with a kitchen, bathroom and internet. So you will be living in the same flat as the other IMFSA exchange students. It takes only ten minutes to bicycle to Amsterdam Amstel station where you take the metro to the hospital or Amsterdam central station. During your clerkship you will receive 120 euros of pocket money. Because we also need a deposit of 100 euros as mentioned above you will receive 50 euros of pocket money at the beginning of your clerkship (out of which 30 euros is extra public transport money). Outside of the summer different accomodation will be arranged. Upon arrival you will receive a public transport card you can use in the whole country. We strongly advice to download the 9292 app on your phone, which you can use to look up any public transport information. Most people in Amsterdam use a bike for transportation. Amsterdam is known as one of the most bicycle-friendly cities in the world. There are bike paths and parking possibilities true out the entire city. However, many bicycles got stolen so lock your bike properly! Another warning, do not buy bicycles from junkies. They are cheap, but stolen. Receiving stolen goods is punishable and you will risk a police record for it. If you are not in possession of a bicycle, public transportation is a good way for traveling in Amsterdam too. There are numerous bus, tram and subway lines. A valid ticket for public transport is the OV-chip card. When traveling to the hospital or the city center by public transport, we advise to use the metro. You can get on the metro at Amstel Station, to which you can go by bike or by bus. Bus 40 and bus 240 towards Amstel Station stop right in front of your student flat. At Amstel station you can take metro 51, 53 and 54 towards central station. When you go to the hospital you can take metro 54 towards ‘Gein’ and you need to get out of the metro at stop ‘Amsterdam Holendrecht’. Most people who are traveling outside Amsterdam use the car or train. Car: The A10 Ring road surrounding the city connects Amsterdam with the Dutch national network of freeways. Train: The Dutch railways are extensive, almost every city is reachable by train. Amsterdam has 10 train stations spread out over the city, including one underneath Amsterdam Schiphol Airport. From there it is approximately 20 minutes to Amsterdam Central Station. If you are interested in visiting other countries in Europe, Amsterdam Central is an international train station with regular train connections to Belgium, France, Germany and England. In the months July and August, 4 National Social Programmes (NSPs) will be arranged for all IFMSA-students who are staying in the Netherlands. This gives you the opportunity to see something of the Netherlands and meet other international students. On the main page you can find the data for this year. You will also receive a NSP booklet, with all necessary information. In the remaining weekends and during the week we will organize days in which, for example, we go to the museum or the park or have dinner together. One of the best and most famous museums in Amsterdam is the Rijksmuseum. Having our most famous artworks and being situated in a beautiful building it is definitely a must to visit during your stay here. Surrounding the museum you can alsof find others such as the Van Gogh museum and the Stedelijk Museum. Museumstraat 1. The canals are obviously a must see, being especially beautiful at night. Another tip is to visit parks like the Vondelpark. One of the other hot spots for people visiting Amsterdam is the Anne Frank House, showing a very important part of our history. Prinsengracht 263-267. In our incomingsbooklet you will get plenty of information on places to have dinner, drinks or to go party. You can contact us by email: stages.amsterdam@ifmsa.nl. Please feel free to contact us at anytime!